The Maldives government plans to relocate many residents to larger islands, so if another tsunami strikes they would be safer. The Maldives is one of the lowest lying countries in the world; it consists of 1196 islands and is located southwest of the southern tip of India in the Indian Ocean. There are about 290,000 residents who live on some 200 islands in the Maldives. And the government wants to relocate about 60% of the residents, but many people do not want to move. "A lot of people are divided. Some of them are still obstinate," said Aminath Minha, a communications officer at the World Health Organization’s office in the Maldives capital of Male. "They're unhappy at the prospect of moving to an entirely new island, but the government insists it's for their safety." The relocation is voluntary, so those who do not want to participate will not be coerced. However, the government is concerned that international donors may view the relocation plan as an attempt to coerce residents, and thus may be disinclined to donate. 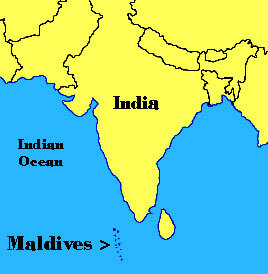 And large international donations are what the Maldives will need to realize their objectives with the relocation plan. “[We will need large] funding for reconstruction, for houses. It's a very costly and long process," said state planner Mohamed Imad. "We are getting some pledges from various governments, and also international organizations." 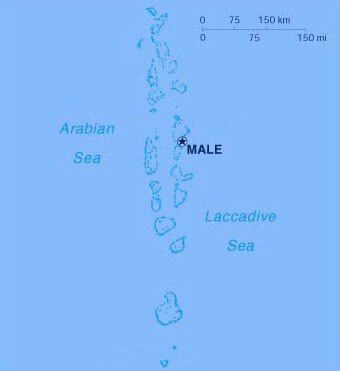 The tsunami killed 82 people in the Maldives and destroyed some 2,500 homes. And close to 200 bodes washed up on the shores from other countries that were struck by the tsunami.